the nytpicker: Did Maureen Dowd Attack Obama's Conan Promo, Then Change Her Mind? The Case Of The Missing Pull Quote! 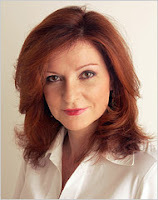 Did Maureen Dowd Attack Obama's Conan Promo, Then Change Her Mind? The Case Of The Missing Pull Quote! Readers of Maureen Dowd's NYT column this morning found a full-scale endorsement by Dowd of President Obama's recent leisure-time activities -- his Broadway date night, his golfing trips, even his video cameo for Conan O'Brien. "We could do without the Conan promo." Given the serious times, the chatter goes, should Barack Obama be allowed to enjoy date night with Michelle in New York, sightseeing in Paris, golf outings in D.C., not to mention doing a promotion for Conan O’Brien and a video cameo for Stephen Colbert’s first comedy show from Iraq? But of course, even the most casual reader of Dowd's column this morning could see she intended an endorsement of Obama's behavior, not a criticism. Dowd calls Obama an "urbane, cultivated and curious president," and includes lines like "He is intellectually engaged with sculpting history" and "The trellis of hideous problems is a challenge tha lures him to be powerfully concentrated" -- well, you get the idea. So what happened? Was this a slip by a lazy op-ed editor who didn't even read Dowd's piece, who just saw the word "Conan" and went from there? Or did Dowd's first draft include a criticism of the Conan promo that she later re-thought? By way of background: pull quotes are used by editors to highlight a significant passage or theme in an article. On the NYT's op-ed page, pull quotes aren't always direct quotations; sometimes they summarize an overall point of view, or call attention to a specific element. For example, the pull quote on Thomas L. Friedman's column this morning -- "Witnessing the free and fair elections in Lebanon" -- correctly captures the essence of the column. We've emailed Dowd about this odd contradiction between the pull quote and her column, and will let you know her response as soon as we hear. This is not the way to a woman's heart.